omg, beautiful wall, chikage-chan! XD lovely scenery as always! ^-^ the colours are so cheeryful, with all the live in it, lovely colours used! wonderful work as always! thanks so much for sharing! Beautiful wallie! Keep up the good work! 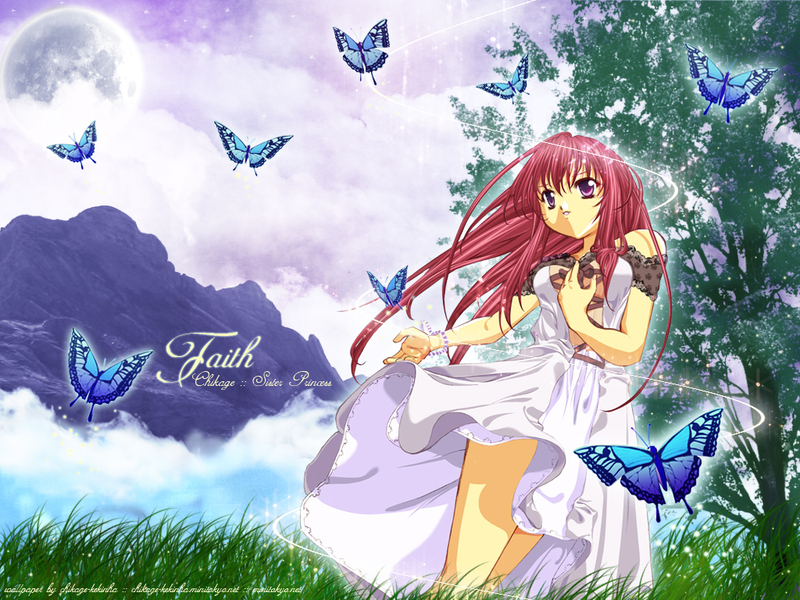 Beautiful, the butterflies, the colors, the BG, the girl, all. A very beautiful wallpaper. I love it. This wallpaper gives a magical, spring-like effect. The background is lovely and I really like the butterflies. Great job! CHikage looks lovely here! The butterflies are pretty and their colour is nice! The tree and cloud brushes were used very well and the grass looks lovely!